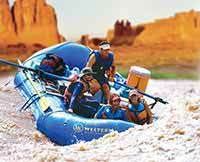 From start to finish, the 4-Day Cataract Canyon rafting trip was a first class operation. There were 6 guides, 31 passengers ranging in ages from 10 - 78 and everyone of us was addressed by name! I'm impressed with the attention to detail that the guides displayed in taking care to make sure that every client was taken care of. The food was terrific, the supplies were clean, the guides-friendly and helpful and clearly enjoyed their jobs. The scenery was gorgeous, the rapids lots of fun, and the weather varied from hot days, to windy evenings, to spotty rain showers...to clear nights where it was impossible to count the stars! If you have a sense of adventure, you must experience this trip! 100 miles and 1000 smiles! Our adventure exceeded my expectations. 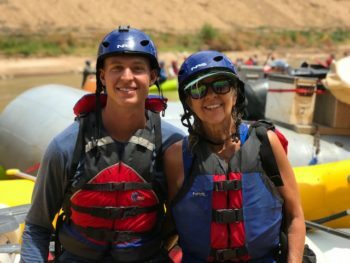 Highly recommend Western River Expeditions!